My grandparents taught us about service to our community. Not because we ever sat down and discussed it but because we saw it in action. Complete strangers would come to their home, and if my grandparents could help they would. They were people of modest means but that never stopped them from doing for others. Their children, my aunts and uncles, followed this tradition and throughout the years have been an inspiration to us to help where needed. I’ve watched them help with service to their church and other civic organizations, to sponsoring senior high school students graduation costs. They translate, they visit those in need, they take food to others, and they have a good reputation in their community. My mom loves to crochet. For years now, all year long, she crochets scarves, blankets, hats, and sweaters. At Christmas time she delivers them to nursing homes to patients who don’t see visitors. She calls them “my seniors”. 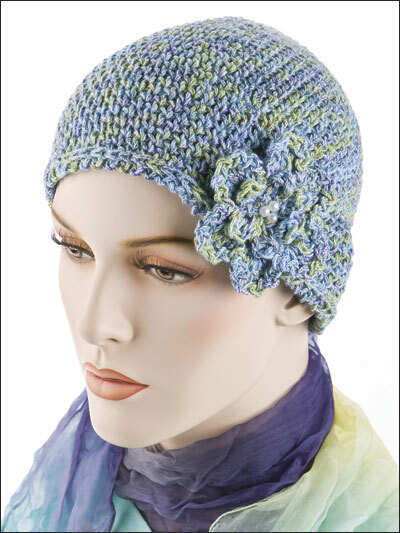 She has added a new project and has begun to crochet hats for cancer patients. This process is quite different than crocheting for her seniors. She has to use a certain gauge of yarn, she has to wash them in special detergent, and she has to individually bag them and ship them. She recently told me nonchalantly that she had begun to receive thank you notes from the cancer patients. I could tell by the way she told me the notes were not expected. She received blankets in return from the coordinator at the cancer center for her seniors. You have to know my mom to know what this endeavor entails. She is retired, her hands give her problems due to years of banking and accounting and yet she continues to help because there is joy in service. This is not a job for her, this is what you do to make life better for others. When you see a need you fill it. That’s just that. She said my aunt had given her money for more yarn for this project. How typical it is for my family to gather resources together to make life livable for others. We often lament about the generation that came before us. We point out that many of our issues are due to them. Some of that may be true. I am a germ freak because my mother is. I don’t share food off of my plate, or drink from anyone’s cup, not even with my husband, because I can hear my mother saying, “I don’t think so! That’s gross. You have no idea what germs they have.” Even as I write about possible germs I know she’ll cringe as she reads this. However, I did learn the joy in serving others. I learned about how we’re all connected and how we need to all do our part for our community. Thanks Mom! I am super proud of you and love you much! So what can you do to make life better for someone?